It comes in colors. It sticks. Such is the Grip Tape line from RF Laserworks. They basically ad a dash of art to your favorite gadget while ensuring it never slips from your hand. They’re cheap too. Man, aren’t iPhone decals eternal founts of wonderment? 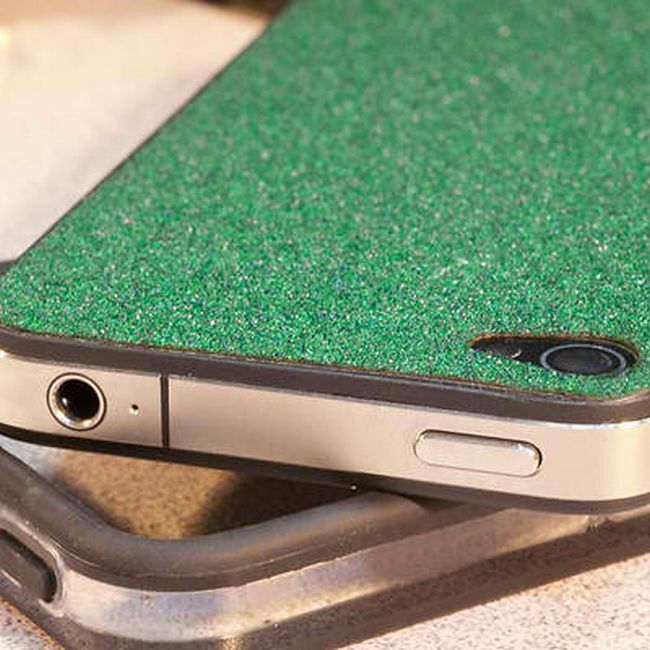 The promotional sample pic above features the green $5 grip tape whose most endearing feature is a rough surface that ensures a solid grasp of your iPhone, no matter if it’s in a pocket or a human hand. Oh, and if you’re wondering what the sticker material is, no biggie. It’s just that: grip tape. The rugged surface is more familiar to skateboarders cos the maker discovered it’s the most gripful of all materials. RF Laserworks currently have red, green, and black on display at their official site. Visit the source link below for the necessary details and pricing. You can actually order a deal and RF Laserworks will laser slice a sticker for you real nice.